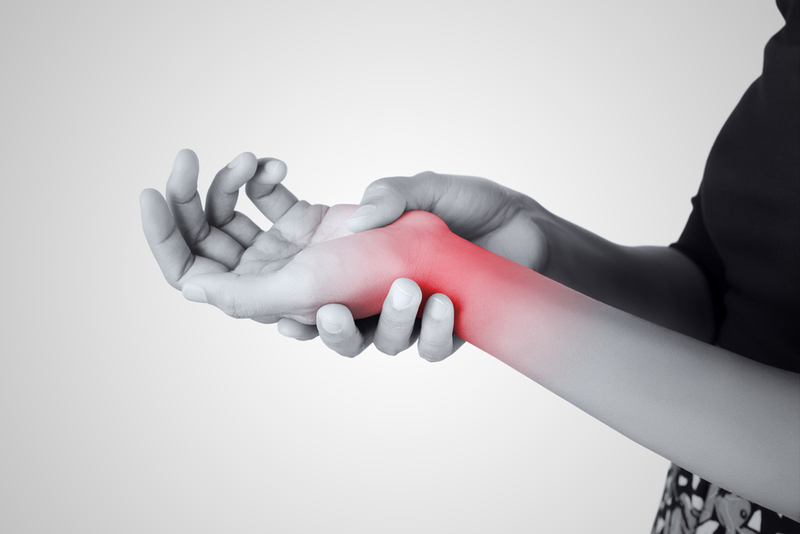 Carpal Tunnel Syndrome is a condition characterized by a tingling sensation, numbness and sometimes pain in the hands and fingers, and is believed in many cases to be caused by repetitive work with the hand. These uncomfortable sensations in the hand occur when the median nerve, which runs down the arm and into the hand through a small space in the wrist called the carpal tunnel, is compressed by the narrowing of this cavity. The carpal tunnel, formed of ligaments and small bones, can become narrowed by injury, swelling caused by repetitive strenuous work with the hands, or as a result of illnesses such as rheumatoid arthritis and diabetes. A telltale sign of carpal tunnel syndrome is that it affects the thumb and first three fingers but not the little finger. Symptoms often first appear at night and the condition is common among pregnant women. Tasks that are associated with carpal tunnel syndrome include playing a musical instrument, heavy manual labor, and working with vibrating tools such as drills and chainsaws. Less commonly, repetitive actions like typing and using a mouse may cause the condition, though researchers disagree about this. To avoid carpal tunnel syndrome, take frequent breaks from strenuous work with the hands and if you feel pain or numbness in the hands, stop the work immediately and seek advice from a physician.